The photos and notes below describe the different engraving styles that were used on Argenta instruments over different periods of the Reynolds Company’s history. The original Argenta engraving is one of the most distinctive patterns in Reynolds’ history and is markedly different from other model lines. The “Argenta” script fits neatly between the curving Reynolds name and the “Cleveland O.” location. Same as above with the addition of the RMC shield logo to the right of the engraving. According to the trademark paperwork (Reg. 0851930), the Argenta engraving used from 1964-1970 consists of plain line circles and “other decorations made of plants”. 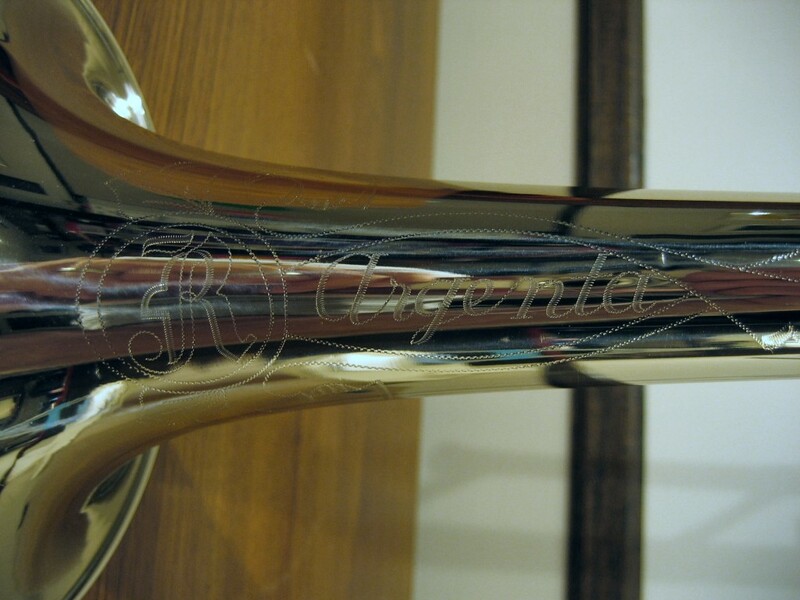 The large “R” was used on most Reynolds instruments produced during this timeframe. 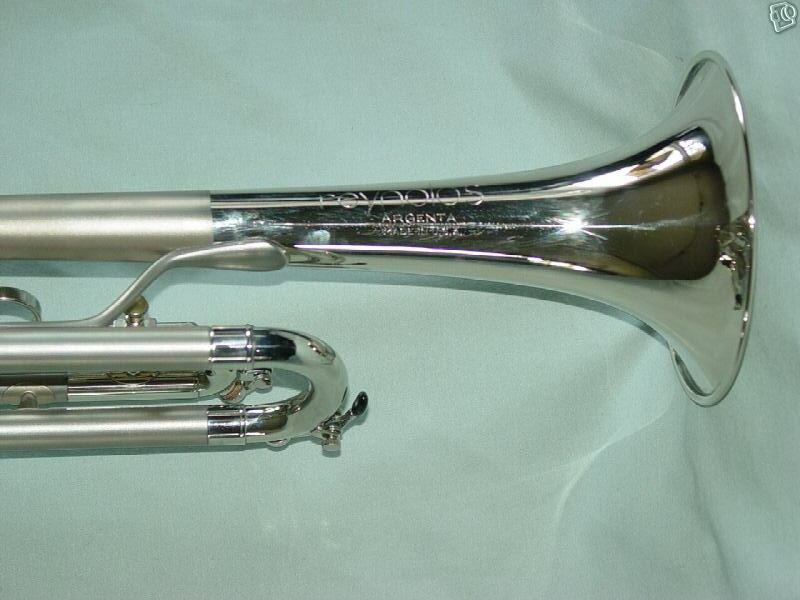 In Reynolds’ last decade, all instruments were similarly engraved: a large lowercase “reynolds” with the model name and “Made in USA” in smaller uppercase lettering underneath.